Where Do We Go After 2014? The establishment has thrown more dirt onto Bitcoin than TMZ has on Charlie Sheen. The latest in a long line of gravediggers is Juniper Research, who last week forecast Bitcoin transactional values of the Bitcoin Block Chain will drop almost 60% this year from current values. This seems to disregard the 80% value lost in 2014 as some non-market correction that didn't factor in all the issues outlined in this latest "research paper". In effect, Juniper thinks Bitcoin's dollar value will drop to around $100 in value by year's end if transaction volume doesn't increase. This transaction volume drop would factor in any Bitcoin exchange collapses, recent Bitcoin thefts from individuals or 3rd-party exchanges, and "regulatory concerns", all plausible. The problem is this focuses on all the potential negative influences on Bitcoin, and doesn't properly factor in the upside growth rampant within the ecosystem. Increases in venture capital are well ahead of last year's pace, with Coinbase taking in $75 Million in January alone. A new American-based exchange by Coinbase has been created. And 2015 is sure to have another impressive round of partnerships with elite merchants like PayPal and Microsoft wouldn't counter these potential issues? 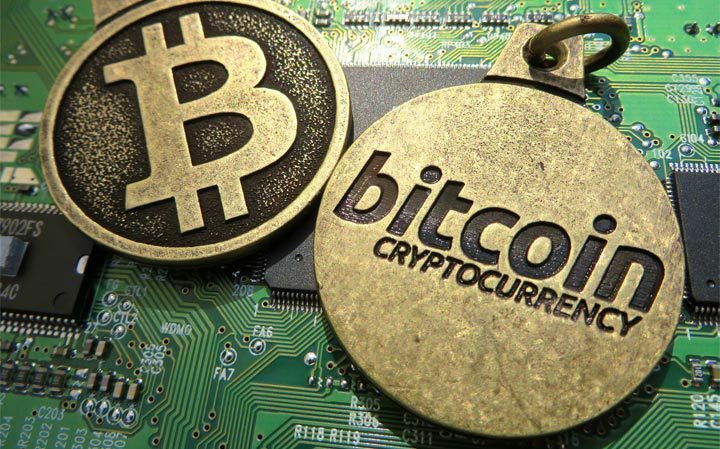 A new report from Juniper Research forecasts that the number of bitcoin and altcoin transactions will more than double by 2017 to 56 million, up from 24.7 million in 2014 and 18 million in 2013. The finding is part of a new report from the market intelligence firm that analyzes the volume and value of transactions in the cryptocurrency markets and predicts the value of all bitcoin and altcoin transactions will fall by 58% in 2015, to just over $30bn. Still, Dr Windsor Holden, head of consultancy and forecasting at Juniper, suggested that those who read the report should scrutinize its more positive conclusions, as he believes bitcoin is unlikely to gain significant transaction as a means of payment. As Treasury secretary, Lawrence H. Summers took on complex economic policy. On Wednesday night, he took on Bitcoin. Speaking at the Museum of American Finance on Wall Street, Mr. Summers said Bitcoin, the virtual currency that has become a phenomenon in the technology and financial industries, could help reduce costs and inefficiencies in the global payments system. But so could other payment technologies. If you pay any kind of attention to the cryptocurrency world, you may have heard by now that Ross Ulbricht has been convicted of all seven charges. Pile this on top of the scams, meltdowns, and general lack of major positive news beyond the fact that more major corporations are now accepting Bitcoin, and it's obvious that the past year and the beginning of this one have been rough on cryptocurrencies. For all that, the news isn't all bad. A Hedgeable poll indicates that most Bitcoin users are optimistic that Bitcoin will rebound. More cautious individuals warn that it's a matter of educating people because cryptocurrencies are currently at the same stage that email services were in the 1990s and it would help to make Bitcoin more user-friendly. With the announcement that the Winklevoss Brothers are planning a Bitcoin exchange that will adhere to U.S. regulation, there is hope that the cryptocurrency world is beginning to move out of the Wild West phase into an environment in which it can lose its public image as the currency of illegal activity and start becoming more mainstream as the currency of choice when making international payments. While the tech world is busy speculating about bitcoin's volatile value, cryptocurrency is making arguably its biggest impact in countries where the current price of 1 bitcoin exceeds the average salary earned in a week. Kenya, Uruguay and Panama are just a few of the countries playing host to a growing group of venture-backed bitcoin companies that are using blockchain technology to tackle regional payments challenges. Although the focus on emerging markets is a recent trend, cryptocurrency has been a global phenomenon from the beginning. While the majority (and largest) of rounds to date have been raised by U.S. companies, over 40 percent of the total venture investments tracked by CrunchBase in the past three years have gone into bitcoin startups based outside of the U.S. The promise of bitcoin and blockchain extends well beyond its potential disruption as a currency. In this Radar Podcast episode, Balaji Srinivasan, a general partner at Andreessen Horowitz, explains how bitcoin is an enabling technology and why it's like the Internet, in that "bitcoin will do for value transfer what the Internet did for communication - make it programmable." I met up with Srinivasan at our recent O'Reilly Radar Summit: Bitcoin & the Blockchain, where he was speaking - you can see his talk, and all the others from the event, in the complete video compilation now available.